Welcome to the 16th day of our 3December challenge! Just as a reminder: we’ll be posting topics until December 24th. You have until January 1st to complete your entries and enter the raffle for 3 $100 Amazon cards and 3 Months of Sketchfab PRO. 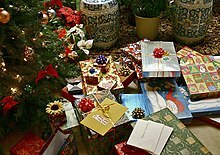 'tis the season of giving and receiving - what did you get? How was it wrapped? Tag your entry with 3December-Gifts and add it to your personal 3December thread in the 3December Entries forum. Use the #3December hashtag if you want to share your entries on social media. 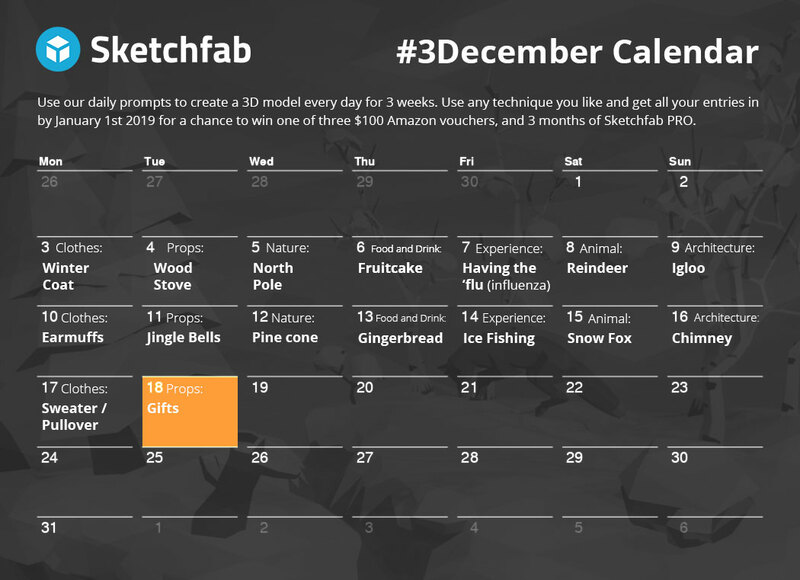 Read the rules for Sketchfab 3December here.